Seçiniz 180 AMG 9G-TRONIC 180 AVANTGARDE 9G-TRONIC 180 EXCLUSIVE 9G-TRONIC 200 200 CDI AVANTGARDE 200 CDI AVANTGARDE OTOMATIK 200 CDI CLASSIC OTOMATIK 200 CDI ELEGANCE OTOMATIK 200 CE 200 CE OTOMATIK 200 CE-16 200 CGI AMG OTOMATIK 200 CGI BLUEEFFICIENCY AVANTGARDE OTOMATIK 200 CGI BLUEEFFICIENCY ELEGANCE OTOMATIK 200 D 200 E 200 KOMPRESSOR CLASSIC OTOMATIK 200 KOMPRESSOR ELEGANCE OTOMATIK 200 T 200 T CDI AVANTGARDE 200 T CDI AVANTGARDE OTOMATIK 200 T CDI CLASSIC 200 T CDI CLASSIC OTOMATIK 200 T CDI ELEGANCE 200 T CDI ELEGANCE OTOMATIK 200 T KOMPRESSOR AVANTGARDE 200 T KOMPRESSOR AVANTGARDE OTOMATIK 200 T KOMPRESSOR CLASSIC OTOMATIK 200 T KOMPRESSOR ELEGANCE 200 T KOMPRESSOR ELEGANCE OTOMATIK 200 TD 200 TE 200/8 220 CDI CLASSIC OTOMATIK 220 CDI ELEGANCE OTOMATIK 220 CDI PRIME 220 CE 220 D 220 D 4MATIC AMG 9G-TRONIC 220 D 4MATIC AVANTGARDE 9G-TRONIC 220 D 4MATIC EXCLUSIVE 9G-TRONIC 220 D AMG 9G-TRONIC 220 E 220 T CDI AVANTGARDE OTOMATIK 220 T CDI CLASSIC OTOMATIK 220 T CDI ELEGANCE OTOMATIK 220 TE 230 AVANTGARDE OTOMATIK 230 C 230 CE 230 CLASSIC 230 CLASSIC OTOMATIK 230 E 230 ELEGANCE OTOMATIK 230 T AVANTGARDE 230 T AVANTGARDE OTOMATIK 230 T CLASSIC 230 T CLASSIC OTOMATIK 230 T ELEGANCE 230 T ELEGANCE OTOMATIK 230 TE 230.6 240 D 240 T 4MATIC AVANTGARDE OTOMATIK 240 T 4MATIC ELEGANCE OTOMATIK 240 T AVANTGARDE 240 T AVANTGARDE OTOMATIK 240 T CLASSIC OTOMATIK 240 T ELEGANCE 240 T ELEGANCE OTOMATIK 240 TD 250 CDI 4MATIC AMG OTOMATIK 250 CDI 4MATIC AVANTGARDE 250 CDI BLUEEFFICIENCY AVANTGARDE 250 CDI BLUEEFFICIENCY ELEGANCE 250 CDI BLUEEFFICIENCY ELEGANCE OTOMATIK 250 CE 250 CGI BLUEEFFICIENCY AVANTGARDE OTOMATIK 250 CGI BLUEEFFICIENCY ELEGANCE OTOMATIK 250 D 250 D TURBO 250 PREMIUM OTOMATIK 250 TD 260 E 260 E 4MATIC 270 T CDI AVANTGARDE OTOMATIK 270 T CDI CLASSIC OTOMATIK 270 T CDI ELEGANCE OTOMATIK 280 4MATIC AVANTGARDE OTOMATIK 280 4MATIC CLASSIC OTOMATIK 280 4MATIC ELEGANCE OTOMATIK 280 AVANTGARDE 280 AVANTGARDE OTOMATIK 280 CDI CLASSIC OTOMATIK 280 CDI ELEGANCE 280 CDI ELEGANCE OTOMATIK 280 CE 280 CLASSIC OTOMATIK 280 E 280 E AUT. 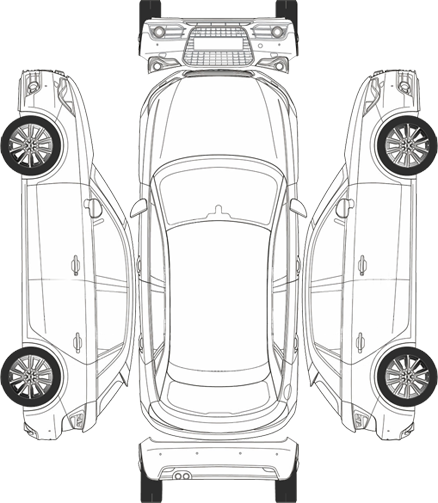 280 ELAGENCE OTOMATIK 280 T 4MATIC AVANTGARDE OTOMATIK 280 T 4MATIC CLASSIC OTOMATIK 280 T 4MATIC ELEGANCE OTOMATIK 280 T AVANTGARDE OTOMATIK 280 T CDI 4MATIC AVANTGARDE OTOMATIK 280 T CDI 4MATIC CLASSIC OTOMATIK 280 T CDI 4MATIC ELEGANCE OTOMATIK 280 T CDI AVANTGARDE OTOMATIK 280 T CDI CLASSIC OTOMATIK 280 T CDI ELEGANCE OTOMATIK 280 T CLASSIC OTOMATIK 280 T ELEGANCE OTOMATIK 280 TE 300 AMG 9G-TRONIC 300 AVANTGARDE 9G-TRONIC 300 CE 300 CE-24 300 CE-24 CABRIO 300 CGI AMG 9G-TRONIC 300 D 300 D TURBO 300 D TURBO 4MATIC 300 E 300 E 4MATIC 300 E-24 300 EXCLUSIVE 9G-TRONIC 300 TD 300 TD AUT. 300 TD TURBO 300 TD TURBO 4MATIC 300 TE 300 TE 4MATIC 300 TE-24 320 CDI 4MATIC AVANTGARDE OTOMATIK 320 CDI 4MATIC CLASSIC OTOMATIK 320 CDI 4MATIC ELEGANCE OTOMATIK 320 CDI AVANTGARDE OTOMATIK 320 CDI ELEGANCE OTOMATIK 320 CE 320 E 320 T 4MATIC AVANTGARDE OTOMATIK 320 T 4MATIC ELEGANCE OTOMATIK 320 T CDI 4MATIC AVANTGARDE OTOMATIK 320 T CDI 4MATIC CLASSIC OTOMATIK 320 T CDI 4MATIC ELEGANCE OTOMATIK 320 T CDI AVANTGARDE OTOMATIK 320 T CDI CLASSIC OTOMATIK 320 T CDI ELEGANCE OTOMATIK 320 T ELEGANCE OTOMATIK 320 TE 350 4MATIC AVANTGARDE OTOMATIK 350 4MATIC ELEGANCE OTOMATIK 350 AVANTGARDE OTOMATIK 350 CDI BLUEEFFICIENCY ELEGANCE OTOMATIK 350 D 4MATIC AMG 9G-TRONIC 350 D 4MATIC AVANTGARDE 9G-TRONIC 350 D 4MATIC EXCLUSIVE 9G-TRONIC 350 ELEGANCE OTOMATIK 350 T 4MATIC AVANTGARDE OTOMATIK 350 T 4MATIC CLASSIC OTOMATIK 350 T 4MATIC ELEGANCE OTOMATIK 350 T AVANTGARDE OTOMATIK 350 T CLASSIC OTOMATIK 350 T ELEGANCE OTOMATIK 400 E 420 CDI AVANTGARDE OTOMATIK 500 4MATIC AVANTGARDE OTOMATIK 500 AVANTGARDE OTOMATIK 500 E 500 ELEGANCE OTOMATIK 500 T 4MATIC AVANTGARDE OTOMATIK 500 T AVANTGARDE OTOMATIK 500 T ELEGANCE OTOMATIK 63 4MATIC+ AMG PERFORMANS 9G-TRONIC 63 S 4MATIC+ AMG PERFORMANS 9G-TRONIC E 180 EDITIONE OTOMATIK E 180 ELITE OTOMATIK E 180 PREMIUM OTOMATIK E 180 STYLE OTOMATIK E 200 E 200 AMG 9G-TRONIC E 200 AVANTGARDE E 200 AVANTGARDE 9G-TRONIC E 200 AVANTGARDE AUT. E 200 CABRIO E 200 CDI AVANTGARDE E 200 CDI AVANTGARDE AUT. E 200 CDI AVANTGARDE OTOMATIK E 200 CDI BLUEEFFICIENCY OTOMATIK E 200 CDI CLASSIC E 200 CDI CLASSIC AUT. E 200 CDI CLASSIC OTOMATIK E 200 CDI ELEGANCE E 200 CDI ELEGANCE AUT. E 200 CDI ELEGANCE OTOMATIK E 200 CGI ELEGANCE E 200 CGI BLUEEFF. AVANTGARDE AUT. E 200 CGI BLUEEFF. ELEGANCE E 200 CGI BLUEEFF. ELEGANCE AUT. E 200 CGI BLUEEFF. 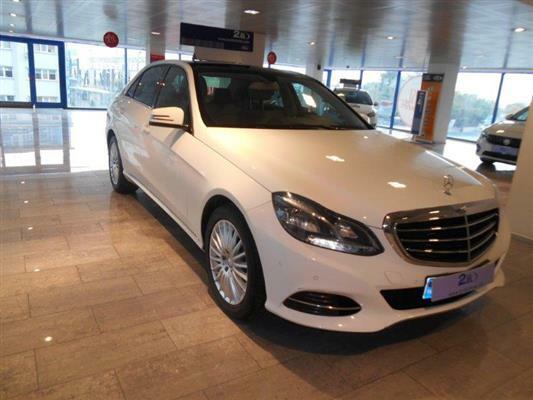 START E 200 CGI BLUEEFFICIENCY ELEGANCE E 200 CGI BLUEEFFICIENCY START E 200 CGI DYNAMIC OTOMATIK E 200 CGI ELEGANCE OTM. E 200 CGI ELEGANCE OTOMATIK E 200 CGI PRIME E 200 CGI PRIME OTOMATIK E 200 CGI START OTM. E 200 CGI START OTOMATIK E 200 CLASSIC E 200 CLASSIC AUT. E 200 COUPE E 200 D E 200 ELEGANCE E 200 ELEGANCE AUT. E 200 EXCLUSIVE 9G-TRONIC E 200 KOMPR. AVANTGARDE E 200 KOMPR. BUSINESS OTOMATIK E 200 KOMPR. CLASSIC E 200 KOMPR. CLASSIC AUT. E 200 KOMPR. ELEGANCE E 200 KOMPR. ELEGANCE AUT. E 200 KOMPR. PREMIUM EDITION OTOMATIK E 200 KOMPRESSOR AVANTGARDE E 200 KOMPRESSOR AVANTGARDE AUT. E 200 KOMPRESSOR AVANTGARDE OTOMATIK E 200 KOMPRESSOR BUSINESS OTOMATIK E 200 KOMPRESSOR CLASSIC E 200 KOMPRESSOR CLASSIC AUT. E 200 KOMPRESSOR CLASSIC OTOMATIK E 200 KOMPRESSOR ELEGANCE E 200 KOMPRESSOR ELEGANCE AUT. E 200 KOMPRESSOR ELEGANCE OTOMATIK E 200 KOMPRESSOR PREMIUM EDITION OTOMATIK E 200 T E 200 T AVANTGARDE E 200 T AVANTGARDE AUT. E 200 T CDI AVANTGARDE E 200 T CDI AVANTGARDE AUT. 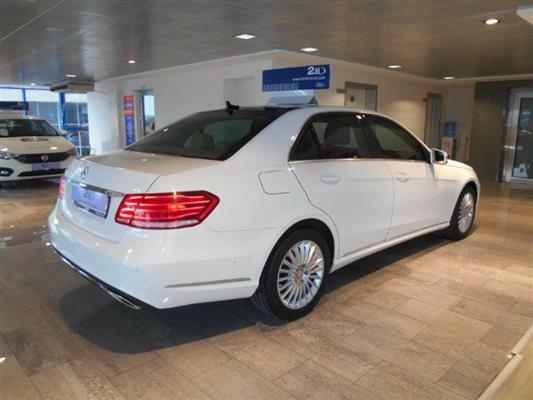 E 200 T CDI CLASSIC E 200 T CDI CLASSIC AUT. E 200 T CDI ELEGANCE E 200 T CDI ELEGANCE AUT. E 200 T CLASSIC E 200 T CLASSIC AUT. E 200 T ELEGANCE E 200 T ELEGANCE AUT. E 200 T KOMPR. AVANTGARDE E 200 T KOMPR. AVANTGARDE AUT. E 200 T KOMPR. CLASSIC E 200 T KOMPR. CLASSIC AUT. E 200 T KOMPR. ELEGANCE E 200 T KOMPR. ELEGANCE AUT. E 200 T KOMPRESSOR AVANTGARDE E 200 T KOMPRESSOR AVANTGARDE AUT. E 200 T KOMPRESSOR CLASSIC E 200 T KOMPRESSOR CLASSIC AUT. E 200 T KOMPRESSOR ELEGANCE E 200 T KOMPRESSOR ELEGANCE AUT. E 220 E 220 CABRIO E 220 CDI AVANTGARDE E 220 CDI AVANTGARDE AUT. E 220 CDI AVANTGARDE OTOMATIK E 220 CDI BLUEEFFICIENCY E 220 CDI BUSINESS OTOMATIK E 220 CDI CLASSIC E 220 CDI CLASSIC AUT. E 220 CDI CLASSIC OTOMATIK E 220 CDI ELEGANCE E 220 CDI ELEGANCE AUT. E 220 CDI ELEGANCE OTOMATIK E 220 CDI PRIME E 220 CDI PRIME OTOMATIK E 220 CDI START E 220 COUPE E 220 D AMG 9G-TRONIC E 220 D AVANTGARDE E 220 D AVANTGARDE 9G-TRONIC E 220 D CLASSIC E 220 D ELEGANCE E 220 D EXCLUSIVE 9G-TRONIC E 220 T E 220 T CDI AVANTGARDE E 220 T CDI AVANTGARDE AUT. 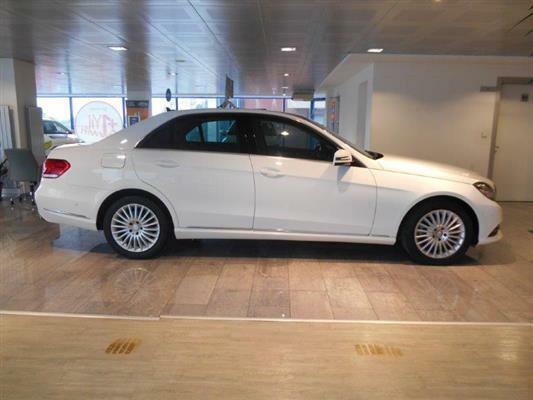 E 220 T CDI CLASSIC E 220 T CDI CLASSIC AUT. E 220 T CDI ELEGANCE E 220 T CDI ELEGANCE AUT. E 230 AVANTGARDE E 230 AVANTGARDE AUT. E 230 CLASSIC E 230 CLASSIC AUT. E 230 ELEGANCE E 230 ELEGANCE AUT. E 230 T AVANTGARDE E 230 T AVANTGARDE AUT. E 230 T CLASSIC E 230 T CLASSIC AUT. E 230 T ELEGANCE E 230 T ELEGANCE AUT. E 240 4MATIC AVANTGARDE AUT. E 240 4MATIC CLASSIC OTOMATIK E 240 4MATIC ELEGANCE AUT. E 240 AVANTGARDE E 240 AVANTGARDE AUT. E 240 AVANTGARDE OTOMATIK E 240 CLASSIC E 240 CLASSIC AUT. E 240 CLASSIC OTOMATIK E 240 ELEGANCE E 240 ELEGANCE AUT. E 240 ELEGANCE OTOMATIK E 240 T 4MATIC AVANTGARDE AUT. E 240 T 4MATIC CLASSIC OTOMATIK E 240 T 4MATIC ELEGANCE AUT. E 240 T AVANTGARDE E 240 T AVANTGARDE AUT. E 240 T CLASSIC E 240 T CLASSIC AUT. E 240 T ELEGANCE E 240 T ELEGANCE AUT. E 250 AMG 7G-TRONIC E 250 AVANTGARDE AUT. E 250 BLUETEC 4MATIC EDITIONE OTOMATIK E 250 BLUETEC 4MATIC ELITE 7G-TRONIC E 250 BLUETEC 4MATIC ELITE OTOMATIK E 250 BLUETEC AMG 9G-TRONIC E 250 CDI 4MATIC AVANTGARDE E 250 CDI 4MATIC AVANTGARDE AUT. E 250 CDI 4MATIC CLASSIC OTOMATIK E 250 CDI 4MATIC ELITE E 250 CDI 4MATIC ELITE OTOMATIK E 250 CDI 4MATIC PREMIUM OTOMATIK E 250 CDI 7G-TRONIC E 250 CDI AVANTGARDE E 250 CDI AVANTGARDE AUT. E 250 CDI BLUEEFF. AVANT. AUT E 250 CDI BLUEEFF. DYNAMIC E 250 CDI BLUEEFF. ELEG. AUT. E 250 CDI BLUEEFF. 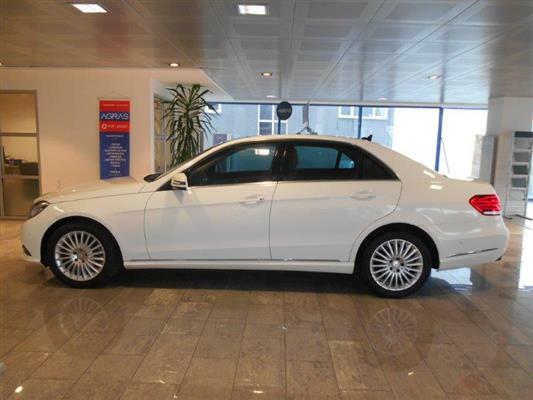 ELEGANCE E 250 CDI BLUEEFFICIENCY AVANTGARDE OTOMATIK E 250 CDI BLUEEFFICIENCY DYNAMIC E 250 CDI CLASSIC E 250 CDI CLASSIC AUT. E 250 CDI DYNAMIC E 250 CDI ELEGANCE E 250 CDI ELEGANCE AUT. E 250 CDI ELEGANCE OTM. E 250 CDI ELEGANCE OTOMATIK E 250 CDI PREMIUM E 250 CDI PRIME E 250 CDI PRIME OTOMATIK E 250 CGI AMG 7G-TRONIC E 250 CGI AMG OTOMATIK E 250 CGI BLUEEFF. AVANTGARDE AUT. E 250 CGI BLUEEFF. DYNAMIC E 250 CGI BLUEEFF. DYNAMIC OTOMATIK E 250 CGI BLUEEFF. ELEGANCE AUT. E 250 CGI BLUEEFFICIENCY DYNAMIC OTOMATIK E 250 CGI DYNAMIC E 250 CGI DYNAMIC OTOMATIK E 250 CGI ELEGANCE E 250 CGI ELEGANCE OTOMATIK E 250 CGI ELITE OTOMATIK E 250 CGI OTOMATIK E 250 CGI PREMIUM E 250 CGI PREMIUM OTOMATIK E 250 D E 250 D AVANTGARDE E 250 D CLASSIC E 250 D ELEGANCE E 250 D TURBO E 250 EDITIONE OTOMATIK E 250 ELEGANCE AUT. E 250 ELIT OTOMATIK E 250 T D AVANTGARDE E 250 T D CLASSIC E 250 T D ELEGANCE E 250 T TD E 250 T TD AVANTGARDE E 250 T TD CLASSIC E 250 T TD ELEGANCE E 250 TD AVANTGARDE E 250 TD CLASSIC E 250 TD ELEGANCE E 270 CDI AVANTGARDE E 270 CDI AVANTGARDE AUT. E 270 CDI AVANTGARDE OTOMATIK E 270 CDI CLASSIC E 270 CDI CLASSIC AUT. E 270 CDI CLASSIC OTOMATIK E 270 CDI ELEGANCE E 270 CDI ELEGANCE AUT. E 270 CDI ELEGANCE OTOMATIK E 270 T CDI AVANTGARDE E 270 T CDI AVANTGARDE AUT. 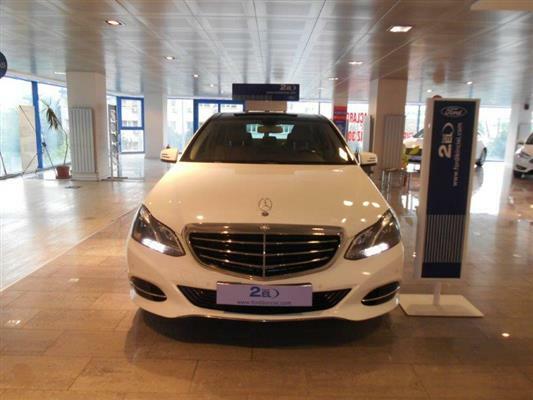 E 270 T CDI CLASSIC E 270 T CDI CLASSIC AUT. E 270 T CDI ELEGANCE E 270 T CDI ELEGANCE AUT. E 280 E 280 4MATIC AVANTGARDE AUT. E 280 4MATIC CLASSIC AUT. E 280 4MATIC CLASSIC OTOMATIK E 280 4MATIC ELEGANCE AUT. E 280 AVANTGARDE E 280 AVANTGARDE AUT. E 280 AVANTGARDE OTOMATIK E 280 CDI 4MATIC AVANTGARDE AUT. E 280 CDI 4MATIC AVANTGARDE OTOMATIK E 280 CDI 4MATIC CLASSIC AUT. E 280 CDI 4MATIC CLASSIC OTOMATIK E 280 CDI 4MATIC ELEGANCE AUT. E 280 CDI 4MATIC ELEGANCE OTOMATIK E 280 CDI AVANTGARDE E 280 CDI AVANTGARDE AUT. E 280 CDI AVANTGARDE OTOMATIK E 280 CDI CLASSIC E 280 CDI CLASSIC AUT. E 280 CDI CLASSIC OTOMATIK E 280 CDI ELEGANCE E 280 CDI ELEGANCE AUT. E 280 CDI ELEGANCE OTOMATIK E 280 CLASSIC E 280 CLASSIC AUT. E 280 CLASSIC OTOMATIK E 280 ELAGENCE E 280 ELAGENCE AUT. E 280 ELEGANCE E 280 ELEGANCE AUT. E 280 ELEGANCE OTOMATIK E 280 T E 280 T 4MATIC AVANTGARDE E 280 T 4MATIC AVANTGARDE AUT. E 280 T 4MATIC AVANTGARDE OTOMATIK E 280 T 4MATIC CLASSIC E 280 T 4MATIC CLASSIC AUT. E 280 T 4MATIC CLASSIC OTOMATIK E 280 T 4MATIC ELEGANCE E 280 T 4MATIC ELEGANCE AUT. E 280 T 4MATIC ELEGANCE OTOMATIK E 280 T AVANTGARDE E 280 T AVANTGARDE AUT. E 280 T CDI 4MATIC AVANTGARDE AUT. E 280 T CDI 4MATIC CLASSIC AUT. E 280 T CDI 4MATIC CLASSIC OTOMATIK E 280 T CDI 4MATIC ELEGANCE AUT. E 280 T CDI AVANTGARDE E 280 T CDI AVANTGARDE AUT. E 280 T CDI CLASSIC E 280 T CDI CLASSIC AUT. E 280 T CDI ELEGANCE E 280 T CDI ELEGANCE AUT. E 280 T CLASSIC E 280 T CLASSIC AUT. E 280 T ELEGANCE E 280 T ELEGANCE AUT. E 290 T TD AVANTGARDE E 290 T TD CLASSIC E 290 T TD ELEGANCE E 290 TD AVANTGARDE E 290 TD CLASSIC E 290 TD ELEGANCE E 300 4MATIC E 300 BLUETEC AVANTGARDE AUT. E 300 BLUETEC CLASSIC AUT. 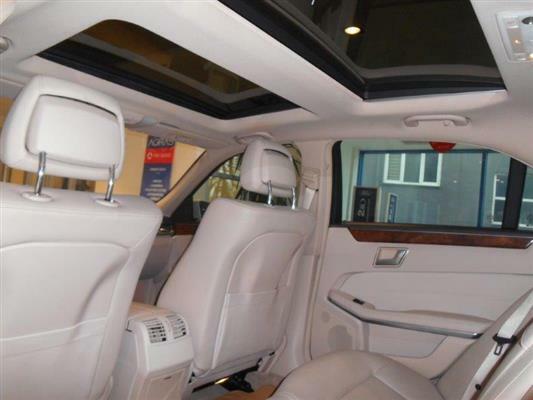 E 300 BLUETEC ELEGANCE AUT. E 300 BLUETEC HYBRID AVANTGARDE AUT. E 300 BLUETEC HYBRID CLASSIC AUT. E 300 BLUETEC HYBRID ELEGANCE AUT. E 300 D E 300 D AVANTGARDE E 300 D CLASSIC E 300 D ELEGANCE E 300 D TURBO E 300 D TURBO 4MATIC E 300 T 4MATIC E 300 T D E 300 T TD AVANTGARDE AUT. E 300 T TD CLASSIC AUT. E 300 T TD ELEGANCE AUT. E 300 T TURBO D E 300 T TURBO D 4MATIC E 300 TD AVANTGARDE AUT. E 300 TD CLASSIC AUT. E 300 TD ELEGANCE AUT. E 320 E 320 4MATIC AVANTGARDE AUT. 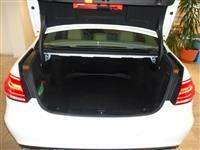 E 320 4MATIC AVANTGARDE OTOMATIK E 320 4MATIC CLASSIC AUT. E 320 4MATIC CLASSIC OTOMATIK E 320 4MATIC ELEGANCE AUT. E 320 4MATIC ELEGANCE OTOMATIK E 320 AVANTGARDE AUT. 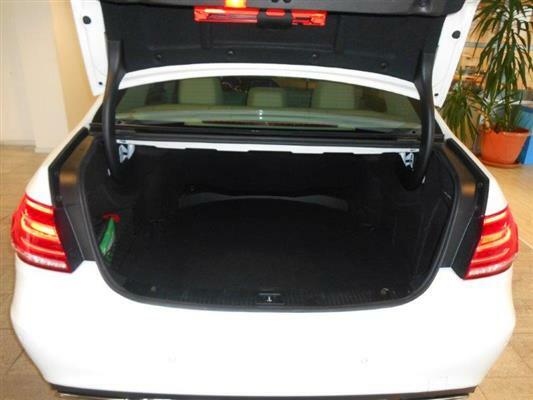 E 320 AVANTGARDE OTOMATIK E 320 CABRIO E 320 CDI 4MATIC AVANTGARDE AUT. E 320 CDI 4MATIC CLASSIC AUT. E 320 CDI 4MATIC CLASSIC OTOMATIK E 320 CDI 4MATIC ELEGANCE AUT. E 320 CDI AVANTGARDE AUT. E 320 CDI AVANTGARDE OTOMATIK E 320 CDI CLASSIC AUT. E 320 CDI CLASSIC OTOMATIK E 320 CDI ELEGANCE AUT. E 320 CDI ELEGANCE OTOMATIK E 320 CLASSIC AUT. E 320 CLASSIC OTOMATIK E 320 COUPE E 320 ELEGANCE AUT. 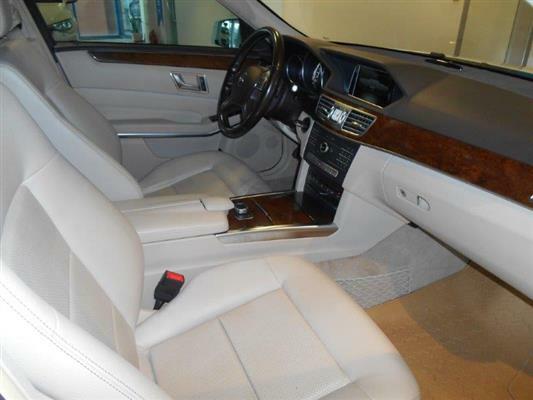 E 320 ELEGANCE OTOMATIK E 320 T E 320 T 4MATIC AVANTGARDE AUT. E 320 T 4MATIC CLASSIC AUT. E 320 T 4MATIC CLASSIC OTOMATIK E 320 T 4MATIC ELEGANCE AUT. E 320 T AVANTGARDE AUT. E 320 T AVANTGARDE OTOMATIK E 320 T CDI 4MATIC AVANTGARDE AUT. E 320 T CDI 4MATIC CLASSIC AUT. E 320 T CDI 4MATIC ELEGANCE AUT. E 320 T CDI AVANTGARDE AUT. E 320 T CDI CLASSIC AUT. E 320 T CDI CLASSIC OTOMATIK E 320 T CDI ELEGANCE AUT. E 320 T CLASSIC AUT. E 320 T CLASSIC OTOMATIK E 320 T ELEGANCE AUT. 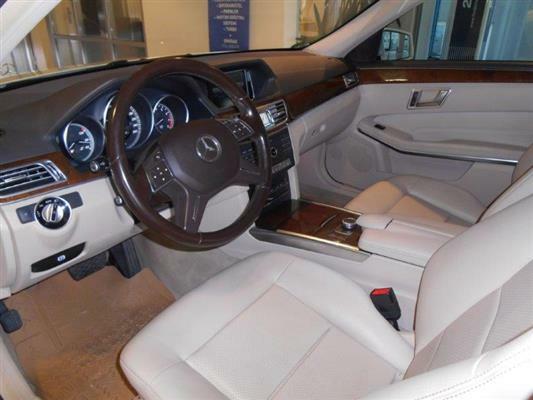 E 350 4MATIC AVANTGARDE AUT. E 350 4MATIC AVANTGARDE OTOMATIK E 350 4MATIC BLUEEFFICIENCY OTOMATIK E 350 4MATIC BLUEEFFICIENCY PREMIUM OTOMATIK E 350 4MATIC CLASSIC AUT. E 350 4MATIC CLASSIC OTOMATIK E 350 4MATIC ELEGANCE AUT. E 350 4MATIC ELEGANCE OTOMATIK E 350 4MATIC ELITE OTOMATIK E 350 7G-TRONIC E 350 AVANTGARDE AUT. E 350 AVANTGARDE OTOMATIK E 350 BLUEEFFICIENCY PREMIUM OTOMATIK E 350 BLUETEC 4MATIC AVANTGARDE AUT. 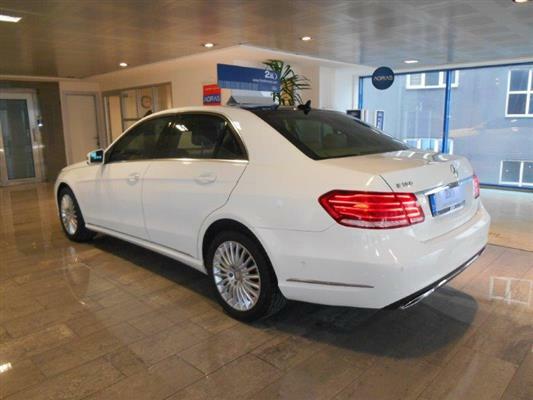 E 350 BLUETEC 4MATIC EDITIONE OTOMATIK E 350 BLUETEC 4MATIC ELEGANCE AUT. 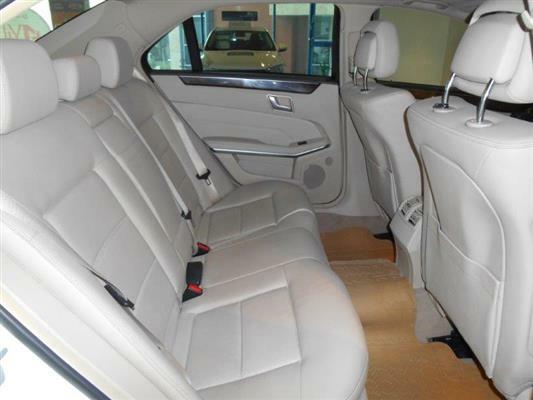 E 350 BLUETEC 4MATIC ELITE OTOMATIK E 350 BLUETEC AVANTGARDE AUT. E 350 BLUETEC CLASSIC AUT. E 350 BLUETEC ELEGANCE AUT. E 350 CDI 4MATIC BLUEEFFICIENCY ELEGANCE E 350 CDI 4MATIC ELEGANCE E 350 CDI 4MATIC ELEGANCE OTOMATIK E 350 CDI 4MATIC PREMIUM E 350 CDI 4MATIC PREMIUM OTOMATIK E 350 CDI BLUEEFF. DYNAMIC OTM. E 350 CDI BLUEEFF. ELEG. AUT. 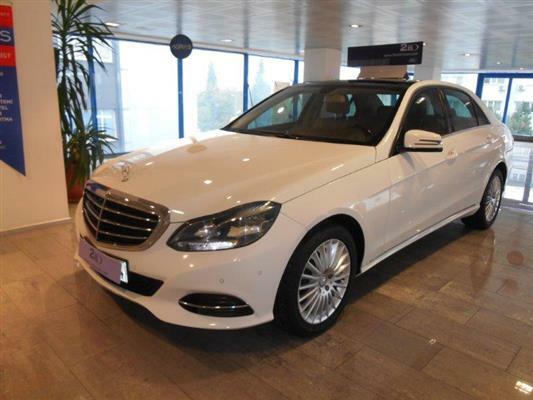 E 350 CDI BLUEEFFICIENCY 4MATIC ELEGANCE OTOMATIK E 350 CDI BLUEEFFICIENCY AVANTGARDE AUT. E 350 CDI BLUEEFFICIENCY DYNAMIC OTOMATIK E 350 CDI DYNAMIC E 350 CDI DYNAMIC OTOMATIK E 350 CDI PREMIUM E 350 CDI PREMIUM OTOMATIK E 350 CGI 4M PREMIUM E 350 CGI 4MATIC PREMIUM OTOMATIK E 350 CGI 7G-TRONIC E 350 CGI AVANTGARDE AUT. E 350 CGI BLUEEFF. AVANTGARDE AUT. E 350 CGI BLUEEFF. ELEGANCE AUT. E 350 CGI DYNAMIC E 350 CGI DYNAMIC OTOMATIK E 350 CGI ELEGANCE AUT. E 350 CGI PREMIUM OTOMATIK E 350 CLASSIC AUT. E 350 CLASSIC OTOMATIK E 350 D AMG 9G-TRONIC E 350 D AVANTGARDE 9G-TRONIC E 350 D EXCLUSIVE 9G-TRONIC E 350 ELEGANCE AUT. E 350 ELEGANCE OTOMATIK E 350 T 4MATIC AVANTGARDE AUT. E 350 T 4MATIC CLASSIC AUT. 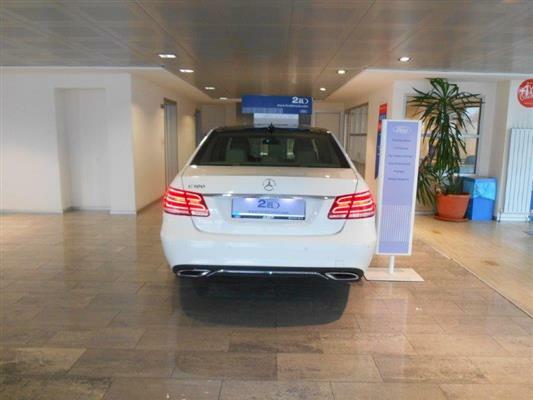 E 350 T 4MATIC CLASSIC OTOMATIK E 350 T 4MATIC ELEGANCE AUT. E 350 T AVANTGARDE AUT. E 350 T CGI AVANTGARDE AUT. E 350 T CGI ELEGANCE AUT. E 350 T CLASSIC AUT. E 350 T CLASSIC OTOMATIK E 350 T ELEGANCE AUT. E 400 4MATIC AVANTGARDE AUT. E 400 4MATIC ELEGANCE AUT. E 400 4MATIC OTOMATIK E 400 AVANTGARDE AUT. E 400 CDI AVANTGARDE AUT. E 400 CDI AVANTGARDE OTOMATIK E 400 CDI ELEGANCE AUT. E 400 CDI ELEGANCE OTOMATIK E 400 CLASSIC AUT. E 400 ELEGANCE AUT. E 400 ELITE OTOMATIK E 420 E 420 AVANTGARDE AUT. E 420 CDI AVANTGARDE AUT. E 420 CDI AVANTGARDE OTOMATIK E 420 CDI ELEGANCE AUT. E 420 CDI ELEGANCE OTOMATIK E 420 CLASSIC AUT. E 420 ELEGANCE AUT. E 420 T AVANTGARDE AUT. E 420 T CLASSIC AUT. E 420 T ELEGANCE AUT. E 430 4MATIC AVANTGARDE AUT. E 430 4MATIC CLASSIC AUT. E 430 4MATIC ELEGANCE AUT. E 430 AVANTGARDE AUT. E 430 CLASSIC AUT. E 430 ELEGANCE AUT. E 430 T 4MATIC AVANTGARDE AUT. E 430 T 4MATIC CLASSIC AUT. E 430 T 4MATIC ELEGANCE AUT. E 430 T AVANTGARDE AUT. E 430 T CLASSIC AUT. E 430 T ELEGANCE AUT. E 500 E 500 4MATIC AVANTGARDE AUT. E 500 4MATIC AVANTGARDE OTOMATIK E 500 4MATIC BLUEEFFICIENCY PREMIUM OTOMATIK E 500 4MATIC ELEGANCE AUT. E 500 4MATIC ELEGANCE OTOMATIK E 500 4MATIC OTOMATIK E 500 AVANTGARDE AUT. E 500 AVANTGARDE OTOMATIK E 500 ELEGANCE AUT. E 500 ELEGANCE OTOMATIK E 500 T 4MATIC AVANTGARDE AUT. E 500 T 4MATIC ELEGANCE OTOMATIK E 500 T AVANTGARDE AUT. E 500 T ELEGANCE AUT. E 500 T ELEGANCE OTOMATIK E 55 AMG E 55 AMG AUT. E 55 AMG OTOMATIK E 55 T AMG E 55 T AMG AUT. E 55 T AMG OTOMATIK E 63 4MATIC AMG AUT. E 63 AMG AUT. E 63 AMG OTOMATIK E 63 AMG PREMIUM OTOMATIK E 63 AMG PREMIUM OTOMATIK E 63 S 4MATIC AMG PREMIUM OTOMATIK E 63 T AMG AUT. E 63 T AMG OTOMATIK E-GUARD 250 AVANTGARDE AUT. E-GUARD 250 ELEGANCE AUT. E-GUARD 350 BLUETEC AVANTGARDE AUT. E-GUARD 350 BLUETEC ELEGANCE AUT. E-GUARD 500 AVANTGARDE AUT. E-GUARD 500 ELEGANCE AUT.